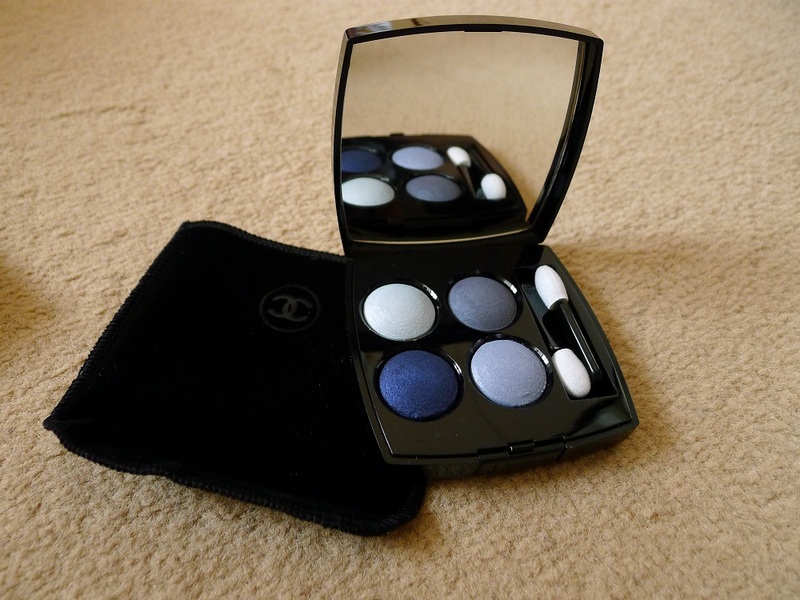 However on this occasion I thought I’d go for something a bit different and once I laid eyes on this Chanel Eyeshadow Quad I instantly fell in love… My favourite colour has always been blue, so to be drawn to an eyeshadow quad, which consists of these dreamy shades of blue came as no surprise to me. I do normally choose neutral colours for my eyes as I find some colours can make my eyes appear smaller, but on this occasion I was willing to make an exception. Also to be on the safe side I asked the sales assistant to try it out on me first. 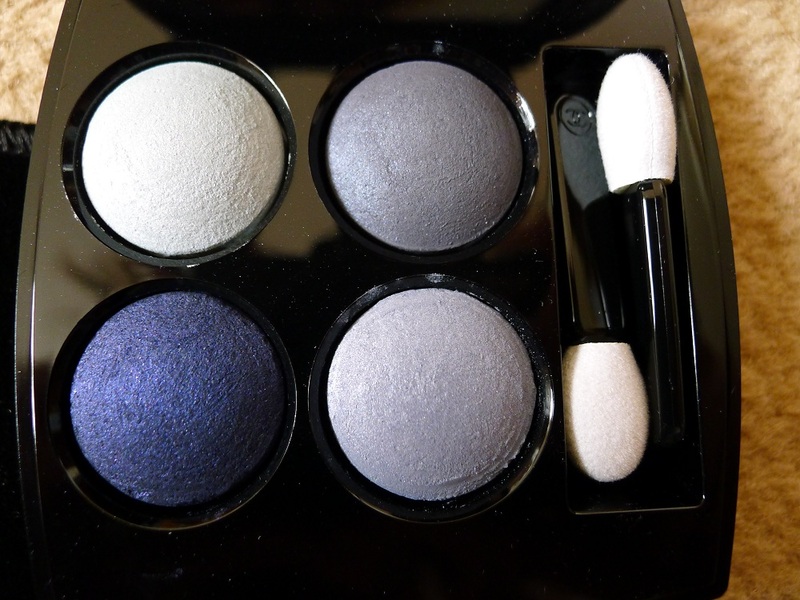 All the shadows are infused with beautiful glittery flecks, but they are most apparent in the deep blue shade. 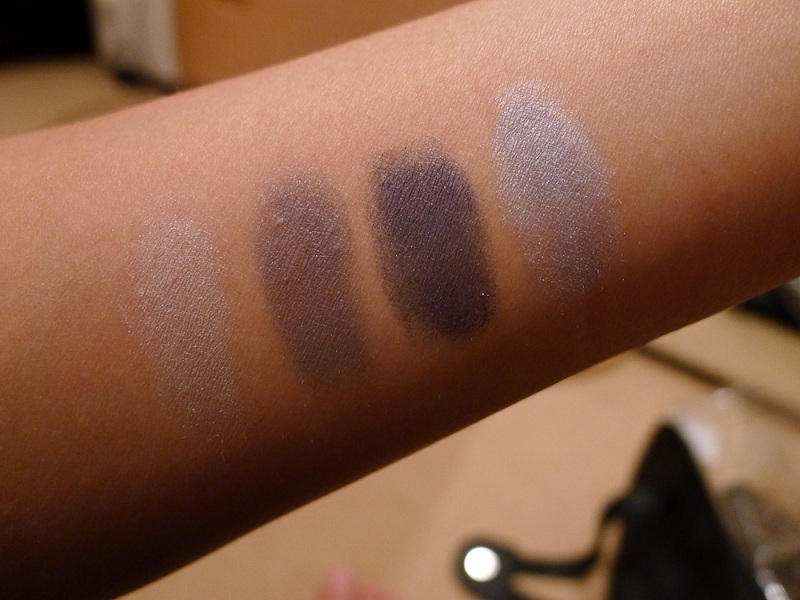 Whilst the eyeshadows are already quite pigmented, a technique which was divulged to me by the SA was that if you want a bold and more intense look; “why not apply the eyeshadows with a damp brush?” She demonstrated this to me at the counter and wow, does it make a difference! I know this is something that most of you probably already know, but whilst I am still a novice when it comes to make up this really did take me by surprise. 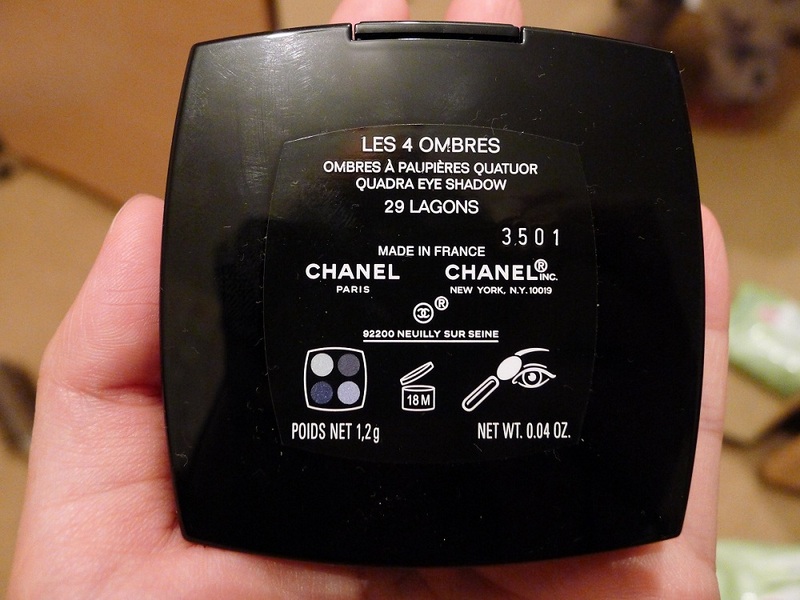 I always thought I might ruin eyeshadows if I use them wet, but the SA assured me that with Chanel’s baked formula eyeshadows they will dry and return to their natural state before long. So far I have yet to try the colours out using this technique, but since I have a friend’s birthday party coming up soon I will be very excited to use this! Lagons is perfect for achieving a soft look for day and more dramatic look for night. It’s handy for any make up bag, especially if you’ve been at work all day and don’t have time to run home to redo your make up before a night out. Price wise, the £37 price tag is a little steep for an eyeshadow quad, but if you’re looking for that special something and you want your peepers to dazzle and impress, I do recommend this! I was afraid about this blue quad but you make me fall in love with it ! Thanks ! Thank you for your comment! You really have nothing to worry about with this quad, it really is the most flattering shades of blue =) Oh and I noticed your blog is in French, where are you based? Hope the things I write are helpful and if there’s anything you wanna see more of just let me know!